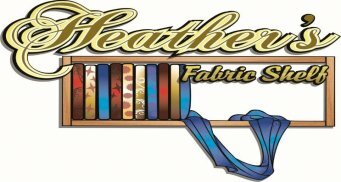 A dream was realized when Heather Fagervik opened her quilt shop in 2009. It was tiny and had limited product, but as she sold fabric off one shelf, another shelf was brought in. Thus was born Heather’s Fabric Shelf. The shop grew, with lots of help from hubby Bill and friends and family, until 18 months later it was busting at the seams. In 2011 we moved up the road to larger premises. The shelves filled quickly and in 2015 we moved again! This time out to Brock Shopping Center with tons of easy parking, big open spaces, lots of natural light. Interested in a Long Arm Quilting Machine? Heather and Bill are Authorized APQS Retailers! Contact us for a current list of new and used machines. Need your APQS machine serviced? Call Bill! He is the ONLY Factory Certified Technician in BC! We also have an APQS Millennium (Millie) Longarm quilting machine available for rent. 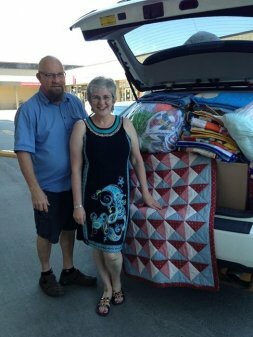 Take a lesson with Bill and do it yourself, or hire us to quilt it for you! Contact the store for more details. We carry a wide variety of quilting fabrics, including a large selection of batiks. Here you will also find all the notions, patterns, books, kits and classes you need to make that special project. Heather and her knowledgeable and friendly staff are here to help. “The Little Shop That Could” continues to grow. Come join us on our quilting journey!